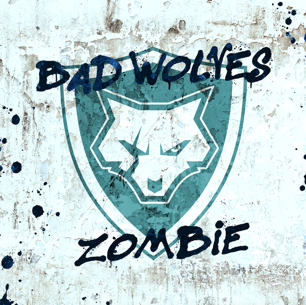 Bad Wolves are currently dominating the rock and metal charts around the globe with their cover of The Cranberries’ ‘Zombie’. Cranberries singer Dolores O'Riordan was scheduled to record guest vocals on the song the very day of her tragic passing. The band decided to move forward and release the track in her memory with all proceeds going to her three children. Since the track debuted on January 19th, Bad Wolves’ cover of ‘Zombie' has gone #1 on iTunes Metal charts and #2 on iTunes Rock charts, and #3 in Shazam searches. It has amassed more than 700,000 streams across platforms in 10 days and continues to command rock and metal airwaves across the globe. The track will appear on the band’s debut album, coming later this year on Eleven Seven Music. 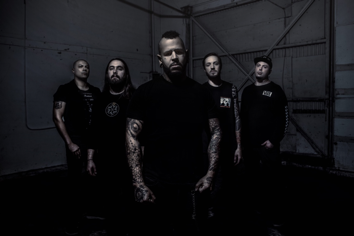 Consisting of of vocalist Tommy Vext (ex-Divine Heresy), drummer John Boecklin (ex-DevilDriver), guitarist Doc Coyle (Vagus Nerve, ex-God Forbid), guitarist Chris Cain (Bury Your Dead), and bassist Kyle Konkiel (ex-In This Moment), BAD WOLVES burst onto the scene in 2017 with the self-released debut single 'Learn To Live' and quickly became ones-to-watch. The Los Angeles-based five-piece recently signed to Eleven Seven Music and will release a debut album later this year. The upcoming album will feature 'Toast To The Ghost' and a cover of The Cranberries’ seminal single 'Zombie', released in honor of Dolores O’Riorden, who was scheduled to record guest vocals on the song the day she passed away. ‘Zombie' quickly shot to the top of rock and metal charts around the world upon its release. All proceeds from the track will go to her three children.